¡@In Taiwan, there is popular song called "Dancing Girl" that vividly depicts a girl who earns her living by dancing with her patrons and trying to please them in every way possible. But finally she ends up in being deserted by them all. It has been a favorite song to many as it invokes a pathetic image of Taiwan which changed hands over the last some 400 years in much the same way like the dancing girl. Unlike the girl, however, Taiwan appears to be throwing away the fetters on her shoulders, with her steps inching towards freedom and independence. ¡@Geographically, Taiwan is an island located at the west rim of the Asia-Pacific basin. Like many small islands, she has been vulnerable to looting and invasion by pirates and colonists. This is what has happened to her over the last some 400 years, changing hands from the Dutch VOC ("Dutch Eastern Indian Company" in English) to the Tungnin Kingdom to the Ching Dynasty to the Japanese Empire and to the Chinese Nationalist regime since l624. Now she is drifting to a cross road, puzzling whether to lean towards China or to stand up like a tall tree, i.e., an independent Republic of Taiwan. ¡@Taiwan has been conjured up as an "orphan of Asia" in a novel with the same title by the famous Taiwanese novelist Wu Cho-liu. Is this orphan growing up and has she learned her lessons from her past history? Or is she now intelligent enough to acquire her nationhood? 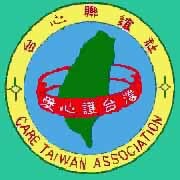 ¡@This paper is a brief account of how fate has played Taiwan in its hands and how Taiwanese has reacted in her struggle against fate.